Scouts travel all throughout North America and Europe to discover elite hockey talent. In a typical draft year the team scouting staff will discover new Canadian talent in the WHL, OHL and QMJHL as well as some lower leagues. Scouts find the majority of American players playing for the US National Developmental team program and also the US High Schools. In Europe scouts find players in the the National League in Switzerland, the Deutsche Eihockey Liga in Germany, the Czech Extraliga in the Czech Republic, the Elitserien in Sweden, the SM-liiga in Finland, the KHL in Russia and finally the Slovak League in Slovakia. Poise, Strength, Speed, Endurance, Durability, Balance, Agility, Acceleration, Stick Checking, Shot Blocking, Fighting Skill, Face-offs, Discipline, Defensive Awareness, Body Checking, Aggressiveness, Wrist Shot Power, Wrist Shot Accuracy, Slap Shot Power, Slap Shot Accuracy, Puck Control, Passing, Offensive Awareness, Hand Eye Coordination and Deking. The three best leagues in Canada and the United States that NHL teams scout are the Western Hockey League (WHL), Ontario Hockey League (OHL) and the Quebec Major Junior Hockey League (QMJHL).A total of sixty teams make up the entire CHL, Fifty-two are based in Canada, the other eight are in the U.S. The WHL teams are the Vancouver Giants, Victoria Royals, Kamloops Blazers, Kelowna Rockets and Prince George Cougars in the B.C. Division. The Seattle Thunderbirds, Portland Winterhawks, Everett Silvertips, Spokane Chiefs and Tri-City Americans are in the U.S. Division. 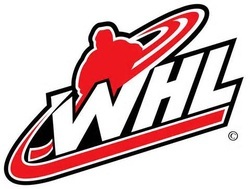 The Calgary Hitmen, Edmonton Oil Kings, Kootenay Ice, Lethbridge Hurricanes, Medicine Hat Tigers and Red Deer Rebels are in the Central Division. The Regina Pats, Saskatoon Blades, Swift Current Broncos, Prince Albert Raiders, Moose Jaw Warriors and Brandon Wheat Kings are in the East Division. Those are the twenty-two teams in the Western Hockey League (WHL) where junior hockey players play and are scouted by NHL scouts. The OHL teams are the Sault Ste. Marie Greyhounds, Saginaw Spirit, Plymouth Whalers, Windsor Spitfires, Sarnia Sting are in the West Division. 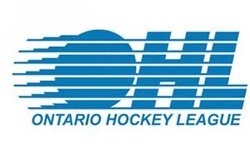 The London Knights, Owen Sound Attack, Kitchener Rangers, Guelph Storm and Erie Otters play in the Midwest Division. The Sudbury Wolves, Barrie Colts, Brampton Battalion, Mississauga Steelheads and Niagra IceDogs play in the Central Division. The Oshawa Generals, Peterborough Petes, Belleville Bulls, Kingston Frontenacs and Ottawa 67’s play in the East Division. The QMJHL teams are the the Rouyn-Noranda Huskies, Val-d’Or Foreurs, Gatineau Olympiques, Blainville-Boisbriand Armada, Drummondville Voltigeurs and Sherbrooke Phoenix play in the West Division. Shawinigan Cataractes, Victoriaville Tigres, Quebec Remparts, Chicoutimi Sagueneens, Rimouski Oceanic and Baie-Comeau Drakkar play in the East Division. The Saint John Sea Dogs, Acadie-Bathurst Titan, Moncton Wildcats, P.E.I. Rocket, Halifax Mooseheads and Cape Breton Screaming Eagles play in the Maritimes Division. AIK (Stockholm), Brynas IF (Gavle), Frolunda HC (Gothenburg), Farjestad BK (Karlstad), HV71 (Jonkoping), Linkopings HC (Linkoping), Lulea HF (Lulea), Modo Hockey (Ornskoldsvik), Rogle BK (Angelholm), Skelleftea AIK (Skelleftea), Timra IK (Timra), Vaxjo Lakers (Vaxjo). Assat (Pori), Blues (Espoo), HIFK (Helsinki), HPK (Hameenlinna), Ilves (Tampere), Jokerit (Helsinki), JYP (Jyvaskyla), KalPa (Kuopio), Karpat (Oulu), Lukko (Rauma), Pelicans (Lahti), SaiPa (Lappeenranta), Tappara (Tampere), TPS (Turku). 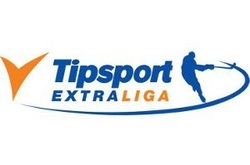 Kometa Brno (Brno), Mountfield Ceske Budejovice (Ceske Budejovice), Pirati Chomutov (Chomutov), Energie Karlovy Vary (Karlovy Vary), Rytiri Kladno (Kladno), Bili Tygri Libernec (Libernec), Verva Litvinov (Litvinov), CSOB Pojistovna Pardubice (Pardubice), HC Skoda Plzen (Plzen), Slavia Praha (Prague), Sparta Praha (Prague), Ocelari Trinec (Trinec), Vitkovice Steel (Ostrava), PSG Zlin (Zlin). 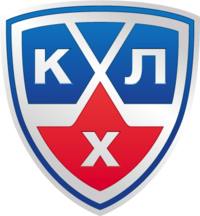 HC Kosice (Kosice), HC '05 Banska Bystrica (Banska Bystrica), HK 36 Skalica (Skalica), HK Dukla Trencin (Trencin), HK Nitra (Nitra), HK Orange 20 (Bratislava), HK Poprad (Poprad), HKm Zvolen (Zvolen), MHC Mountfield (Martin), MsHK Zilina (Zilina), SHK 37 Piest'any (Piest'any). Twelve teams compete in SwizHC Ambri-Piotta (Ambri), SC Bern (Bern), EHC Biel (Biel/Bienne), HC Davos (Davos), HC Fribourg-Gotteron (Fribourg), Geneve-Servette HC (Geneva), Kloten Flyers (Kloten), SCL Tigers (Langnau i.E. ), HC Lugano (Lugano), Rapperswill-Jona Lakers (Rapperswill), EV Zug (Zug), ZSC Lions (Zurich). Augsburger Panther (Augsburger), Eisbaren Berlin (Berlin), Dusseldorf EG (Dusseldorf), Hamburg Freezers (Hamburg), Hannover Scorpions (Hannover), ERC Ingolstadt (Ingolstadt), Iserlohn Roosters (Iserlohn), Kolner Haie (Cologne), Krefeld Pinguine (Krefeld), Adler Mannheim (Mannheim), EHC Red Bull Munchen (Munich), Thomas Sabo Ice Tigers (Nuremburg), Straubing Tigers (Straubing), Grizzly Adams Wolfsburg (Wolfsburg). 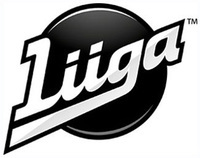 The Mestis is the second-highest hockey league in Finland. The 13 teams in this league are HC Keski-Uusimaa (Kerava), Hokki (Kajaani), Jokipojat (Joensuu), Jukurit (Mikkeli), JYP-Akatemia (Jyvaskyla), Kiekko-Vantaa (Vantaa), KooKoo (Kouvola), LeKi (Lemppaala), Peliitat (Heinola), SaPKo (Savonlinna), Vaasan Sport (Vaasa), TUTO (Turku). Based on the 2012-2013 NHL season, Canada produces the majority approximately 53.02% of players in the National Hockey League (NHL). NHL cities include Vancouver, Calgary and Edmonton in the Western Conference and Toronto, Montreal, Ottawa and Winnipeg in the Eastern Conference. The largest cities are Toronto, Montreal, Vancouver, Ottawa, Calgary, Edmonton, Quebec, Winnipeg, Hamilton, Kitchener, London, St. Catherines, Halifax, Oshawa, Victoria, Windsor, Saskatoon, Regina, Sherbrooke, St. John's. Based on the 2012-2013 NHL season, The United States produces approximately 23.9% of players in the National Hockey League (NHL). NHL cities include Minnesota, Colorado, Detroit, Chicago, St. Louis, Columbus, Nashville, Phoenix, Dallas, Los Angeles, San Jose and Anaheim in the Western Conference. Boston, Buffalo, New York (NYR) and New York (NYI), New Jersey, Philadelphia, Pittsburgh, Washington, Carolina, Tampa Bay and Florida in the Eastern Conference. The largest cities are New York, Los Angeles, Chicago, Dallas, Houston, Philadelphia, Washington, Miami, Atlanta, Bosotn, San Francisco, Detroit, Phoenix, Seattle, Minneapolis, San Diego, Tampa, St. Louis, Baltimore. Based on the 2012-2013 NHL season, Russia produces approximately 2.95% of players in the National Hockey League (NHL). The largest cities in Russia include Moscow, St. Petersburg, Novosibirsk, Yekaterinburg, Nikhny Novgorod, Samara, Kazan, Omsk, Chelyabinsk, Rostov-on-Don, Ufa, Volgograd, Perm, Krasnoyarsk, Voronezh, Saratov, Tolyatti, Krasnodar, Izhevsk, Yaroslavl. Based on the 2012-2013 NHL season, Sweden produces approximately 6.89% of players in the National Hockey League (NHL). largest cities are Stockholm, Gothenburg, Malmo, Uppsala, Vasteras, Orebro, Linkoping, Helsingborg, Jonkoping, Norrkoping. Based on the 2012-2013 NHL season, Finland produces approximately 2.25% of players in the National Hockey League (NHL). The largest cities are Helsinki, Espoo, Tampere, Vantaa, Turku, Oulu, Jyvaskyla, Lahti, Kuopio, Kouvola, Pori, Joensuu, Lappeenranta, Hameenlinna, Rovaniemi. Based on the 2012-2013 NHL season, Czech Republic produces approximately 4.78% of players in the National Hockey League (NHL). The largest cities are Prague, Brno, Ostrava, Plzen, Libernec, Olomouc, Usti nad Labem, Hradec Kralove, Ceske Budejovice, Pardubice, Havirov, Zlin, Kladno, Most, Karvina, Opava, Frydek-Mistek, Karlovy Vary, Jihlava, Decin. Based on the 2012-2013 NHL season, Slovakia produces approximately 1.4% of players in the National Hockey League (NHL). The largest cities are Bratislava, Kosice, Presov, Zilina, Banska Bystrica, Nitra, Trnava, Martin, Trencin, Poprad, Prievidza, Zvolen, Povazska Bystrica, Michalovce, Nove Zamky, Spisska Nova Ves, Humenne, Levice, Komarno, Bardejov. Based on the 2012-2013 NHL season, Germany produces approximately 0.084% of players in the National Hockey League (NHL). The largest cities are Berlin, Hamburg, Munich, Cologne, Frankfurt, Stuttgart, Dusseldorf, Dortmund, Essen, Bremen, Dresden, Leipzig, Hannover, Nuremberg, Duisburg, Bochum, Wuppertal, Bonn, Bielefeld, Mannheim. 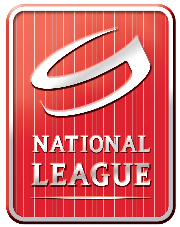 Based on the 2012-2013 NHL season, Switzerland produces approximately 0.0984% of players in the National Hockey League (NHL). The largest cities are Zurich, Geneva, Basel, Bern, Lausanne, Winterthur, Lucerne, St. Gallen, Lugano, Biel, Thun, Koniz, La Chaux-de-Fonds, Schaffhausen, Fribourg, Vernier, Chur, Neuchatel, Uster, Sion. The largest cities are Oslo, Bergen, Stavanger/Sandnes, Trondheim, Fredrikstad/Sarpborg, Drammen, Porsgrunn.Skien, Kristiansand, Troms, Tonsberg. The largest cities are Vienna, Graz, Linz, Salzburg, Innsbruck, Klagenfurt, Villach, Weis, Wels, Sankt Polten, Dornbirn. The largest cities are Ljubljana, Maribor, Celje, Kranj, Velenje, Koper Capodistria, Novo Mesto, Ptuj, Trbovlje, Kamnik. The largest cities are Copenhagen, Aarhus, Odense, Aalborg, Frederiksberg, Esbjerg, Gentofte, Gladsaxe, Randers, Kolding, Horsens, Lyngby-Taarbaek, Vejle, Hvidovre, Roskilde, Helsinger, Herning, Solkeborg, Naestved, Greve Strand. The largest cities are Minsk, Barysaw, Salihorsk, Maladzyechna, Zhodzina, Slutsk, Vilyeyka, Dzyarzhynsk, Maryina Horka. The largest cities are Almaty, Shymkent, Karagandy, Taraz, Astana, Pavlodar, Oskemen, Semey, Aktobe, Oral, Kostanay, Petropavl. The largest cities are Warsaw, Krakow, Lodz, Wroclaw, Poznan, Gdansk, Szczecin, Bydgoszcz, Lubllin, Katowice, Bialystok, Gdynia, Czestochowa, Radom, Sosnowiec, Torun, Kielce, Gliwice, Zabrze, Bytom, Olsztyn. The largest cities are Paris, Marseille, Lyon, Toulousse, Nice, Nantes, Strasbourg, Montpellier, Bordeaux, Lille. The largest cities are Rome, Milan, Naples, Turin, Palermo, Genoa, Bologna, Florence, Bari, Catania, Venice, Verona, Messina, Padua, Trieste, Taranto, Brescia, Prato, Reggio Calabria, Modena, Parma.